The digital world is often a small world. For example, when working with Dell on an influencer content program I met Dell’s Managing Editor at the time who seemed to be a cocktail of sophistication, intelligence and just a lovely person. She reminded me very much of Rebecca Lieb, another force of nature in the content marketing world. Why does this make digital a small world? Despite being based on two different coasts, they’re great friends! This serendipitous content sage is none other than Stephanie Losee, who is now Head of Content at Visa, Corporate Communications. Along with many others, I’ve learned many important insights from Stephanie and I can’t wait to see her keynote panel at Content Marketing World in September. In anticipation of CMWorld 2016, I reached out to Stephanie to catch up on her new role and get her current perspectives on the world of content. In this interview she discusses the most important changes in content marketing, a content report card for brands, predictions, career advice, and insight into more cross-functional content marketing success. Oh, and she also has thoughts on what will be the ruin of Snapchat. I’m thrilled with what I get to do every day. You’ve had an amazing journey in your career from PC Magazine and Fortune to years later when we met while you were at Dell and now you are at Visa. When it comes to content and marketing what has stayed the same? What has changed the most? What has stayed the same is that brands need journalists, period. They used to need them at publications for media coverage, to tell their stories, to get the word out. Now they need them in-house, to craft and push out content that is worth their customers’ precious time. What has changed is everything else. It’s dizzying to think of the career I imagined for myself as a baby editor at PC Mag and a tech writer at Fortune versus the life I have now. Other journalists mourn, but frankly, I’m thrilled with what I get to do every day. What does your role as Head of Content at Visa entail? What does your day look like? What do you like best? I learned that my favorite thing is intrapreneurship, and that’s the opportunity I have here at Visa. They’ve engaged in a variety of editorial content marketing efforts in the past, such as a financial inclusion content partnership with The Guardian, but for all intents and purposes I’m here to launch an integrated content strategy across the org. Every day since Day 1 has been different, but then again I just passed my 100th so I’m not even close to the point where I could establish anything resembling a routine. Brands now have the freedom to speak to their audiences directly. One of my favorite quotes from you is, “Brands no longer need to rely exclusively on traditional publications to create content to gather audiences for advertisers. Rather, brands now have the freedom to speak to their audiences directly.” What is your report card for companies overall when it comes to creating their own audiences with content vs. relying so much on advertising in publications? The ones that are doing it well are doing it astonishingly well. I wouldn’t say that they are creating their own audiences so much as reaching their audiences wherever they are spending time and driving clicks back to their own domains where there is more content and of course opportunities for conversion. In the case of Visa, our traffic on Visa.com is very high—millions upon millions of visits a year—but visitors are on a fact-finding mission that can be a misfire, since they’re often hunting for cards and we don’t issue cards. My remit is to take those visitors and serve them so well that they have a reason to return. As for advertising, I learned at POLITICO that although laypeople rue banner ads, there are a lot more types of digital advertising that still work than we think. Sponsoring Playbook, for example, is a very effective strategy for organizations that want one of the most influential audiences in the world to see their messaging. That being said, I’m still amazed when I’m on various websites and have to X out of interruptive digital advertising. Why? Do they really think any of us is enjoying it? Getting anything out of it? Are they? What do you think are some of the fundamental obstacles companies face when trying to actually execute on a content strategy? What are possible solutions to those challenges? To us, it’s not early days in content marketing. Not in the least. But to many brands it’s a mystery. I think they often make an inadequate commitment, or hire the wrong person – someone who isn’t experienced or senior enough. Or they think they need a head of digital when they need a managing editor, or vice versa. It’s hard to get right if you haven’t done it before. With content strategy, hire a change-maker who loves what they do. More than with many other functions, with a content strategy all it really takes is one person. Hire a change-maker who loves what they do. Who knows how to make a lot with a little, and then who will take a growing budget and use it to create next-gen brand journalism that makes news on its own merits and converts viewers into customers. Let’s say you meet someone new to a senior content role at a company and they’re asking you for baseline change management advice in that new role. What do you tell them? I have this conversation a lot. I think that a new hire offers fresh eyes, and that’s an easy way to provide early value. Oftentimes current staffers are serving internal stakeholders at the expense of their external audiences, and for obvious reasons. It’s important to flip the equation. What kind of content are external audiences expecting when they visit your owned channels, both content and social? What would benefit them? Ask for data about visitors and use it to inform your first few moves. Use existing staffers and resources and get to an always-on strategy that puts customers’ needs first as fast as you can. It’s very impactful. Any career advice for those coming up from content creation to strategy and management roles? Most content marketing aspirants I know are using LinkedIn and Glassdoor to identify existing openings and apply for them, but I don’t think that’s necessarily the best approach. At this stage, the roles are rarely one-size-fits-all. Most successful roles are a fit on an entirely different level that often requires candidates to identify a company where their strengths and passions make the most sense and then get in, rising into roles that are created for them as their skills build. 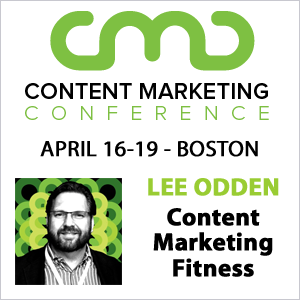 What are you looking forward most to at Content Marketing World? Canoodling with my far-flung content marketing peeps, in particular friends from the Danish Native Advertising Institute Jesper Laursen and Pontus Staunstrup, as well as the gang at the cutting-edge Slovenian agency PM (poslovni mediji) including Nenad Senic, Igor Savic and Primoz Inkret. Rebecca Lieb and I joke that we are each other’s conference wives because even though she is in NYC and I’m in SF, we see each other more on the road at content marketing conferences than we do at either of our homes. 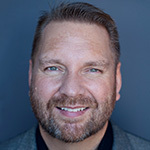 And I miss Michael Brenner—I haven’t seen him since he launched Marketing Insider Group. So thank you Joe for the family reunion! Content Marketers love to create content about content marketing . What are some of your most trusted sources of information around content and marketing to stay smart, current and inspired? I read a ridiculous amount of content about content, and yet I always feel behind. I wouldn’t know where to start. I trust Michael Brenner and Rebecca Lieb and try not to miss anything they publish. Contently and Newscred have terrific blogs. Of course Joe Pulizzi/CMI and you. I have a number of Google Alerts that fill my inbox daily and I have a hard time deleting them without opening them and reading at least 3 articles. In 5 years, VR, AR, MR and some other R will be ubiquitous. Any predictions about what the state of content marketing will be in 5 years? Is the death of text really a thing? I can’t imagine text could die. It doesn’t make sense. We are a distracted bunch. In what universe are we going to give up the act of reading one thing while sitting in public and listening to something else—a presentation, a discussion, a conference? Even when I bump into a story that comes from a TV news station or NPR, I always scroll down to read the article. I watch a lot of videos and I listen to a number of podcasts, but these are situational behaviors. Once commerce comes into it, we’ll be living a mixed existence that will make our obsession with our smartphones seem like a minor distraction. Perhaps naysayers are imagining us wearing giant black things on our heads and they can’t picture it. But the technology will be far more elegant. Show how your content can solve their problem. Do nothing that doesn’t amount to a brick in the house you want to build. At Content Marketing World you’re going to be on a keynote panel, “Content Marketing and Change Management – Making It Real‘ with Kathy Sterio, CMO at GE. Can you share a tip for how companies can be more strategic and cross-functional in their content efforts? Show them how your content can solve their problem. Offer them some of your budget. Lower the bar. Make it easy. Play nice. And do it all with a three-year plan in mind. Do nothing that doesn’t amount to a brick in the house you want to build. Brick by brick my citizens, brick by brick. Last, let’s play a little social network word association. After each platform, share the first word or short reaction that comes to mind. Facebook – Home. I live there. But I hate what their algorithms do to reduce the richness of my feed. LinkedIn – Is it snarky of me to wish it were more elegant, more beautiful, more engaging, more functional? It’s a vital component of any good content strategy. Twitter – Please add features fast. Why haven’t they already? Google+ – Male. So, not even a little bit. Snapchat – Kids. Mine are devoted. I’m afraid the oldsters will ruin it, me included. YouTube – Thank God for you. Makes the world go round. Instagram – I wish I were a power user but I keep posting my pics on FB instead. I’ll get there eventually. Stephanie Losee is the head of content at Visa. Her previous two roles were head of brand content at POLITICO, where she launched their custom content studio, and Managing Editor of Dell, where she directed Dell’s editorial content strategy and formalized Dell’s role as a brand publisher. The Holmes Report named her one of the Top 25 Innovators of 2015. She is a former writer at Fortune and editor at PC Magazine. Better yet, be sure you register for Content Marketing World, which is happening September 6-9 in Cleveland. CMWorld is where you can learn from Stephanie plus over 200 speakers right along with over 4,000 other attendees from over 500 different companies. Along with Stephanie, you can connect with a Who’s Who list of content marketing experts from major brands, agencies and vendors. On a personal note, I have attended and presented at every CMWorld conference since it was founded and there’s good reason why this is the largest content marketing conference in the world. If your work comes anywhere near content marketing and communications, CMWorld is a must-attend event. For my part, material internet marketing can’t ever get guided toward designing even more material. Designing diversified material stands out as the have. Availablility of a person who must not be the chief center for material online strategy. “As SEOs experienced on their using of material, target market intended for, material preparation all around avenues together with integration utilizing other kind for material that have already very little regarding express seek out manners could appear. “.